"Installed!! Blue skies in the forecast in the foreseeable future. I am SO glad to be finished with this installation, and happy that it went well, finally. Thanks to all for the helpful advice. 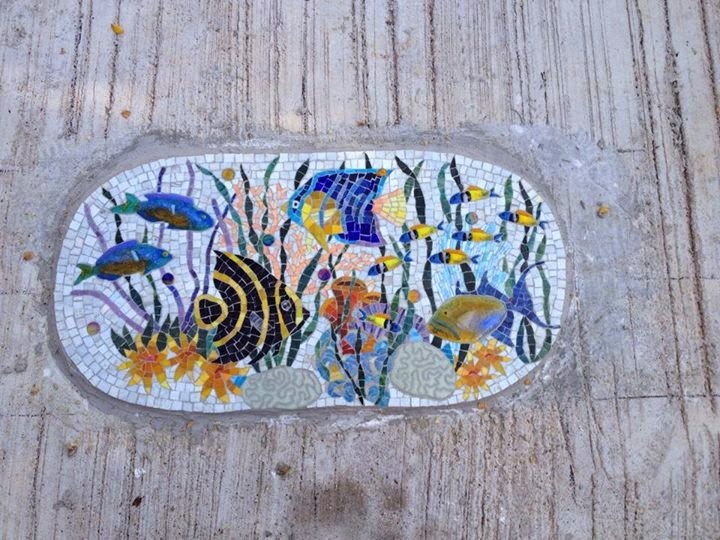 Created with Mexican Smalti, kiln formed glass fish, and glow in the dark outlines on the compass. 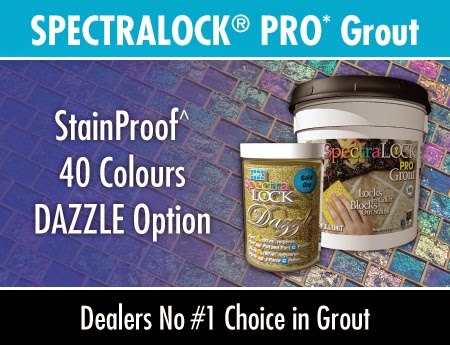 SpectraLock grout. 254 Platinum thinset. A couple glasses of wine to wind down and celebrate." 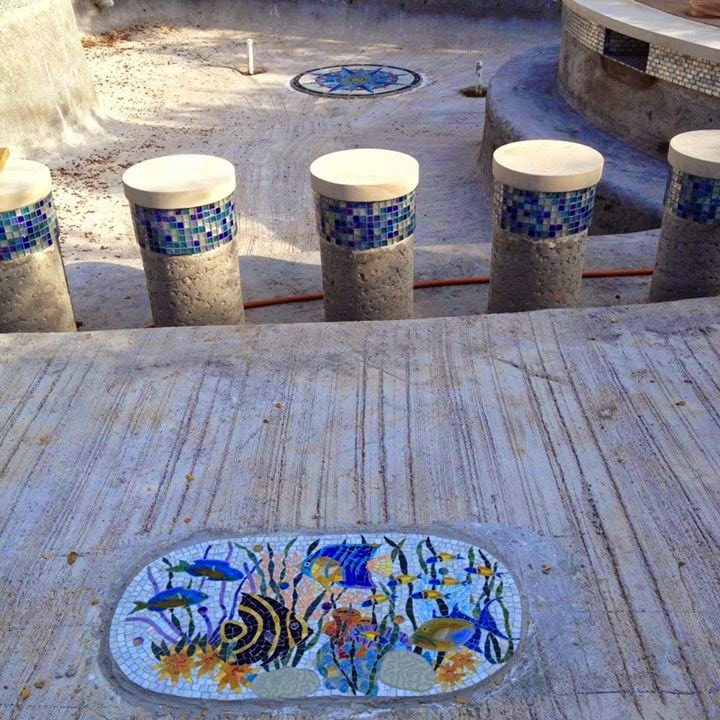 Pool Tile Presentation - Miami ! 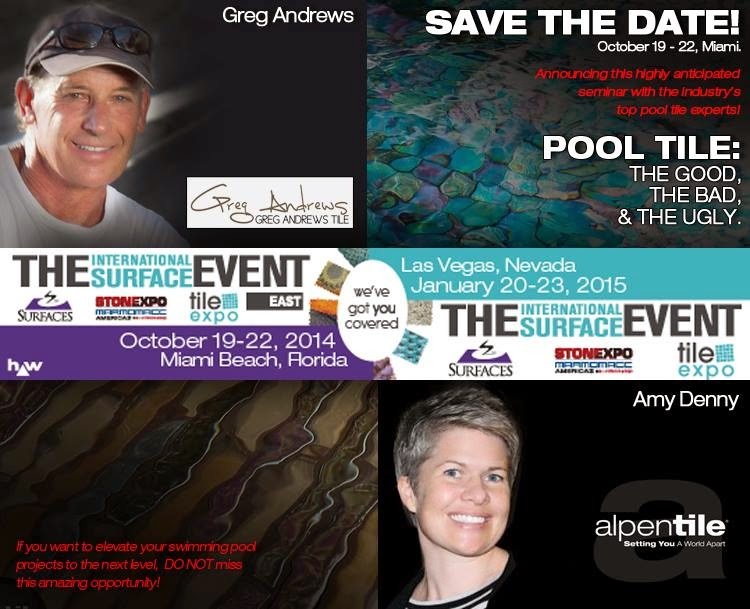 Greg Andrews and Amy Denny will be co-presenting at TISE East in Miami this October. 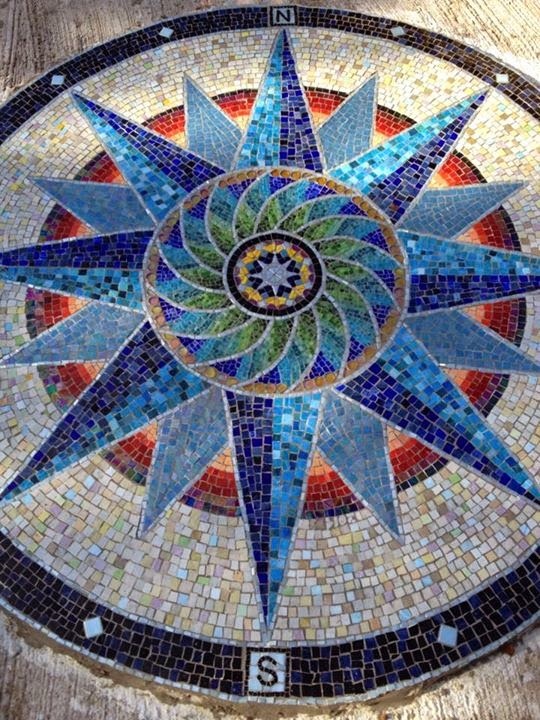 You are invited to attend this fantastic seminar where they will share their expert knowledge about glass tile in pools. They will walk through case studies, discuss best practices, and spend valuable Q and A time. Their commitment and their legacy is to elevate this industry through education and collaboration! Please join them - and share this invite with anyone you know who wants to elevate their craft!